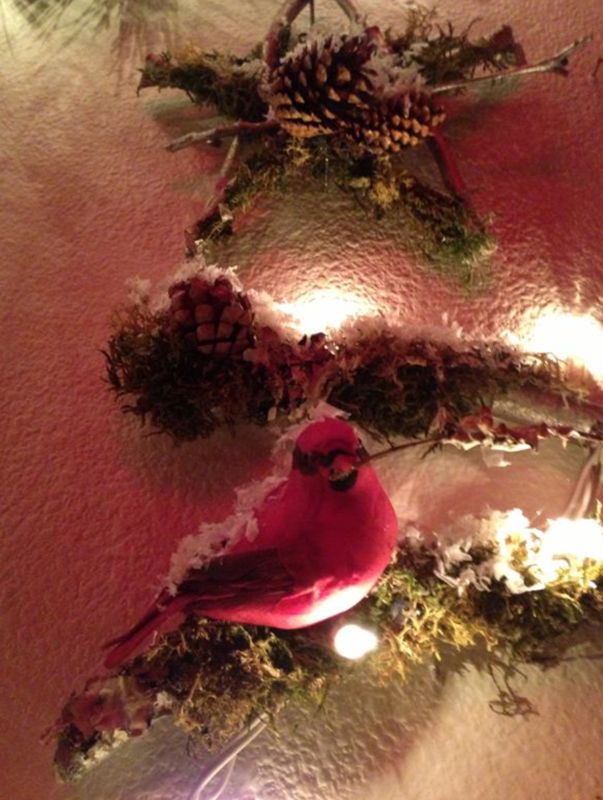 For a number of years, I was thrilled to host the company Christmas party at our home. Over the years, the company began to grow in size and at one point, our house was bursting at the seams. 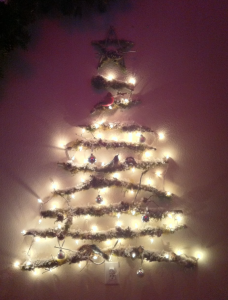 Needless to say, I didn’t have the space for a bulky Christmas tree! I begin to consider hand-crafting a deconstructed version. Living in Central Oregon, we had a plethora of trees to choose from. I drove to a location that was public property and found a downed, dead tree. I came equipped with a pruning saw and picked up the Aspen branches I needed for the project. 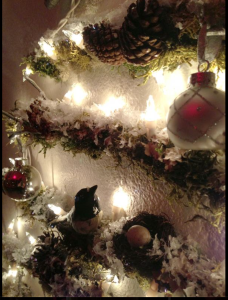 Running with the “natural” theme, on the way home, I went by the craft store and picked up some small birds, a bird nest, some moss and small pinecones. For this project, I had to figure out a way to secure the branches to the wall in a semi-permanent way. I laid out the branches in a shape that pleased me, then took long finishing nails and carefully nailed them in under the branches to provide support. Then I took some string lights, plugged them in and working up from the plug end, began to wind the lights around the branches. At this point, I wanted to provide a little more stability and hot glued the lights in places on the branches. Then the fun began! 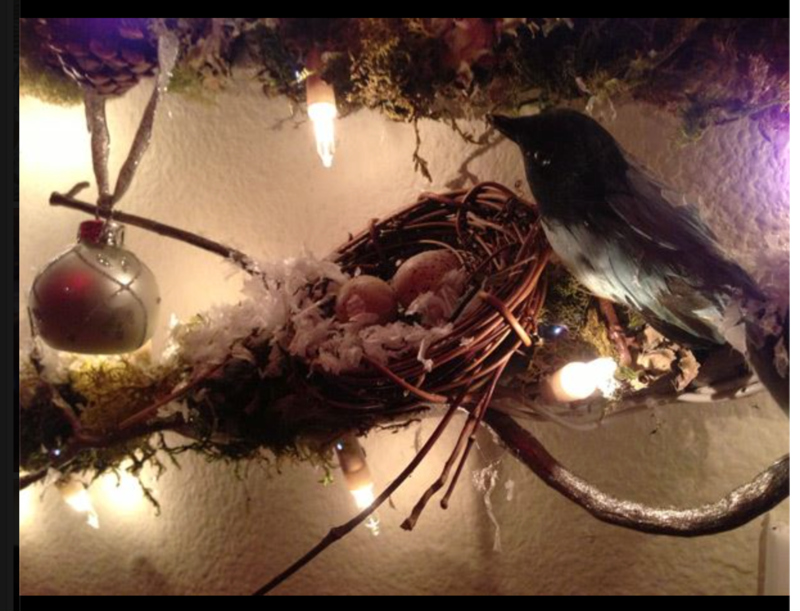 I started by hot gluing the birds and the nest in various locations. Then I filled in with both the moss and the pinecones, making every attempt to cover the string light wires. Then, out of some left over smaller branches, I fashioned a small star and hung it at the top. I finished my tree by adding fake snow to the birds and branches. I was thrilled with the results and I still have it up. One note: if you do attempt this project, place plastic underneath your tree. You cannot imagine what my floor looked like after all the moss, glue and snow!